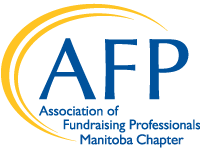 The AFP CFRE Refresher Course takes a new approach that asks participants to apply fundraising theory, skills, and techniques within the six knowledge domains of the field, based on three or more years of professional experience in fundraising. This course is a combination of a high-level review, self-exploration of knowledge, and peer exchange of best practices – all of which are facilitated by a knowledgeable fundraising practitioner. It is not presented in a lecture format. Please note: the AFP CFRE Refresher Course is designed to be a “refresher,” not an in-depth review of the domains. It is designed both to help refresh the knowledge each participant already has and to help that individual identify gaps in their knowledge. Participants do this by working through abbreviated case studies referred to as “caselets.” Participation in the course may assist individuals in learning or reviewing concepts covered on the CFRE exam, but it is not a preparatory course for the CFRE exam.